Paperclips’ history is filled with bizarre characters: during the XIX century, a lot of inventors compete to secure for themselves the patent for the “perfect clip”. The aim is to find the best way to bend steel while making it flexible enough to hold papers without damaging them. This endeavor involves brilliant minds across the planet: some build new machines, some design curious prototypes, some write essays on the subject (like the English philosopher Herbert Spencer). In 1899, Johan Vaaler from Norway launches a type of clip, which is very similar to the one still in use today. He is commonly credited as the father of the paper clip. But actually the definitive design comes from British Gem Manufacturing who, at the end of the same year, creates the more commercially successful one. “Gem Clips” quickly replace pins, and employees everywhere rejoice: iron pins left holes and tended to rust, ruining the paper. 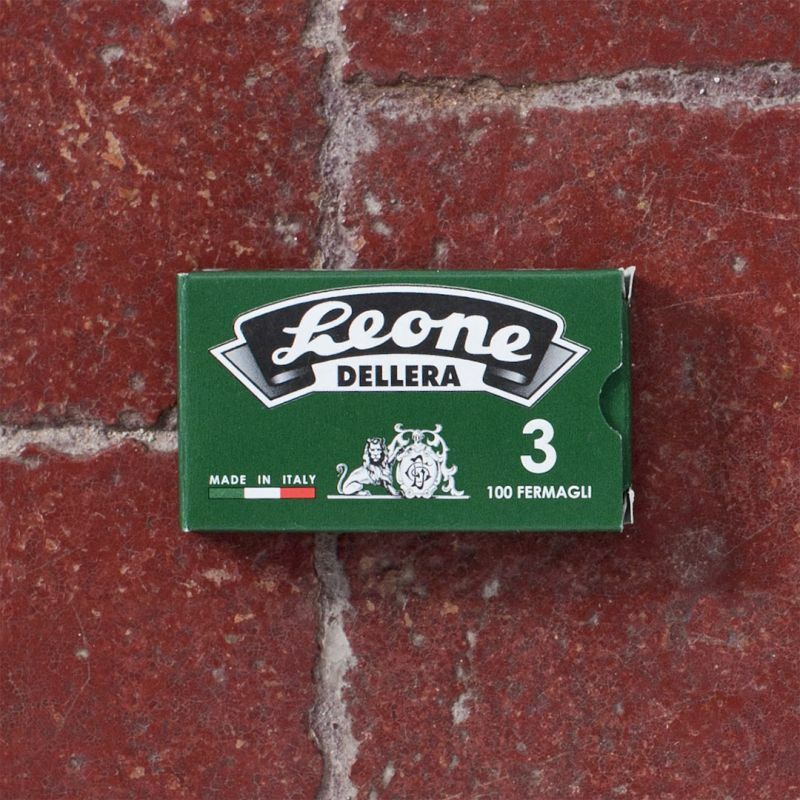 In Italy, Giuseppe Dell’Era’s company fills these new white collar needs: Leone paperclips immediately become a symbol of Italian industry and productivity. They initiate an iconic style which quickly expands from the large cities in the north to all of Europe. Adventures in Stationery: A Journey Through Your Pencil Case, James Ward, Profile Books, 2014.